Happy Fresh Funded Friday, friends! This week we are featuring Fresh Funded participant, Deux Voix Concerts. This trumpet-organ duo is comprised of trumpeter, Justin Langham, and organist Stephen Distad. Together, they are on a mission "to positively impact as many lives as possible through the power of music." The pair met four years ago when Justin was a graduate student at the University of Houston. Their first performance was at a church, and, long story short, they were both ecstatic to showcase the ultimate sound combination of the organ and the trumpet. As a former solo musician, Distad is especially refreshed by the synergy created while performing as a duo. Deux Voix is the only trumpet/organ duo, that we know of, that offers a variety of music from the traditional repertoire of Bach and Telemann to contrasting styles of music such as Frank Sinatra and Sam Smith. The basis of our concept is to provide a “new approach to a classic sound,” with a strong emphasis on attracting people of all ages and musical tastes to experience something new and different, and to leave them wanting more!... Many who have attended our concerts have commented positively about the overall flow and energy, feeling that they were constantly engaged due to the variety of musical styles and genres...While we offer a wide variety of music during our concerts, the goal of a substantive musical experience is not lost. We make sure to include selections from both the organ and trumpet’s standard repertoires, such as works by Bach, Telemann, Liszt, Saint-Saens, Hovhaness, and Eben, interspersed throughout the concert. It's no surprise that this dynamic duo is setting records and selling out venues! Deux Voix set a record for the highest attendance of any organ concert in the 37-year history of the Piccolo Spoleto Music Festival and recently presented a Sinatra-style program at Memorial Drive United Methodist in Houston that sold out a week in advance. August promises more excitement, as Deux Voix will celebrate their 4th Anniversary Concert and then jet off on their first international tour in Sweden, Denmark and Norway. 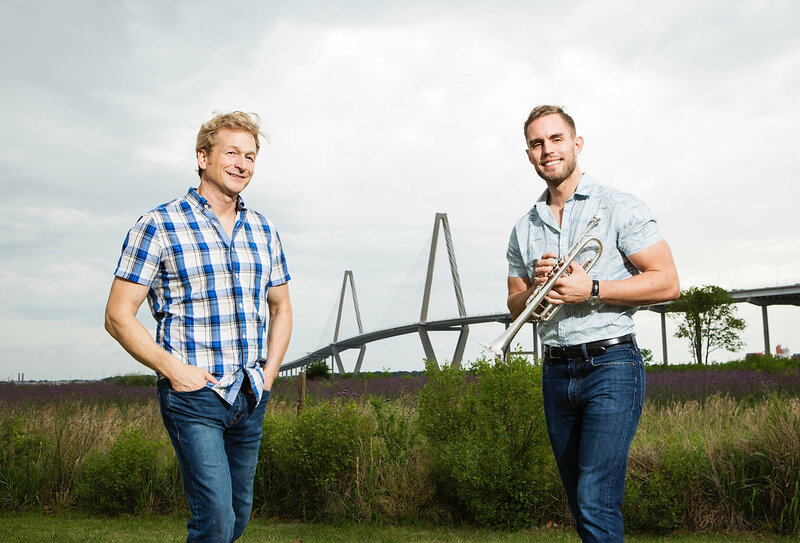 With the support of Fresh Arts Deux Viox has set goals to expand their breadth by acquiring a professional level flugelhorn, going on international tours, producing additional recordings and possibly purchasing their very own portable digital organ! Fresh Arts is proud to support the Deux Voix Concerts and looks forward to the inspiring things they will bring to Houston, the US and the globe. For a complete listing of all Deux Viox’s upcoming shows, check out their website. And don’t forget to subscribe to the Deux Voix YouTube Channel. For more information on Fresh Funded, please visit http://www.freshfunded.com/. Check back next week for the next feature project of our Fiscal Sponsorship Feature Series.